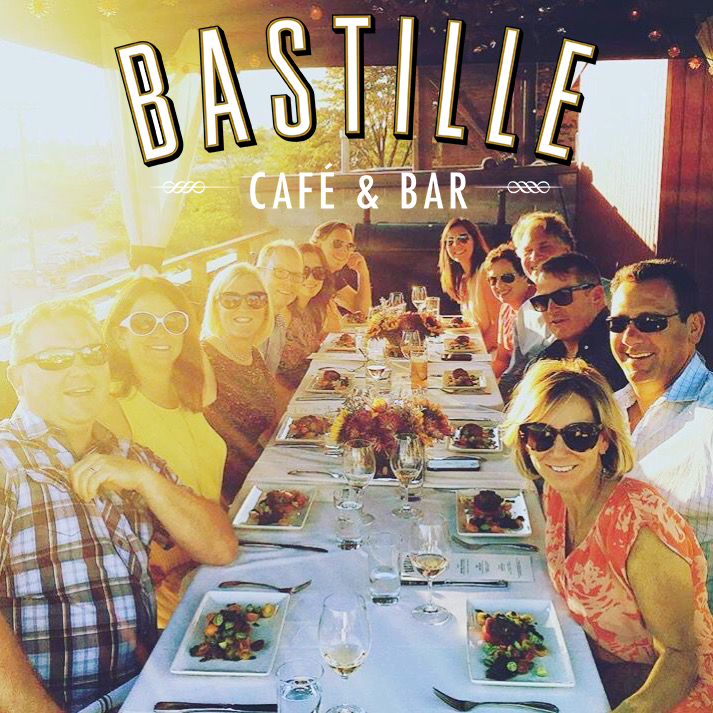 Bastille Café & Bar is excited to announce the 2017 dates for their popular rooftop dinners. There will be twenty-four Monday and Tuesday evening dinners between June and September, each starting with a rooftop garden tour and featuring a multi-course, family-style meal with wine pairings. Guests can arrive at 5:45pm for a rooftop tour beginning in the bar with a Rooftop Garden inspired cocktail to sip while exploring the garden. Guests are seated for dinner under a cabana overlooking the ship canal at 6:30pm. The family-style meals will highlight rooftop produce and local ingredients grown by select purveyors from the Ballard Farmer’s Market. Chef Jason Stoneburner will create the menu each week based on what has been recently harvested. Sommeliers Kristen Young and Alexandra Stang will select wines each week to complement the menu and will be on hand to present their pairings for each course. The beautiful views of the summer sunset over the Olympic Mountains and the historic buildings of Ballard make for a scenic backdrop to the communal dinners. Each event is limited to 10 guests and cost is $165/person, which includes a rooftop garden tour, cocktail, food, wine, and 20% gratuity. Groups and/or individuals are welcome. Guests who purchase all 10 tickets to a single dinner will receive custom-printed menus as a take-home memento. A Rooftop Dinner is the perfect way to celebrate a special birthday, anniversary, or retirement party with your closest friends. Last year the dinners sold out, so act fast to reserve a spot for this unforgettable Seattle summer experience. The Seattle Urban Farm Company designs, builds, and maintains food gardens. They work with homeowners, restaurants, businesses, and property managers to set up beautiful, productive, edible landscapes. To learn more, visit www.seattleurbanfarmco.com.